Even Though water may seem to be a benign form of nature and helpful form of life, we are all aware of the problems caused by water flooding. If your house has been flooded or damaged with water and you are looking for water damage restoration services here’s how much it is going to cost you and why. What Are The Major Causal Factors For Water Damage? Simply put water damage is apparent and can be seen in general cases. It also important to note that too much moisture left alone inside your office, house, a garage can lead to much bigger problems. Water damage restoration becomes a must after these. If there has been water flooding by clean water you entire water damage restoration services cost may be around $2000. That would not be the case if the flooding is of unclean, muddy or greasy water, to restore property after dirty water flooding you will have to spend almost thrice the amount, approx $6000. Yes, they are if you are okay with your drywall and furniture getting infested with mould, setting of mildew and get rotten away. Water damage starts causing damage 24 to 48 hours from onset. Here’s a detailed list of things you might have to face if you try to avoid water damage restoration for its costs. 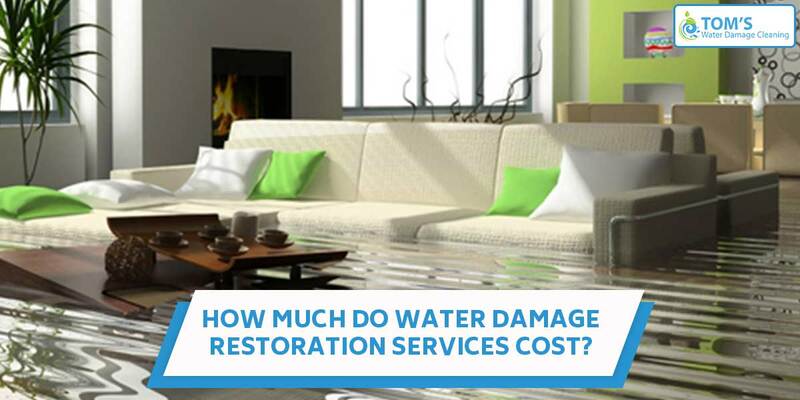 What Does the Water Damage Restoration Services Cost Depend on? It majorly depends upon the kind of water that has been flooded, along with square feet of water damaged area, type of cleaning equipments used, etc. Black Water: Greasy, toxic water, adulterated with industrial waste. Toms water damage restoration services cost approx $180 to clean are of 100 sq. ft.
To gauge the water damage restoration services cost you will also have to see the condition of your carpet, drywall, furniture etc. You will have to see how damaged are they and whether they need to be repaired or replaced all together. A water damage restoration professional from Toms Water Damage Restoration Melbourne can help you figure that out and other things related to water flooding. Simply call us on 1300 068 194 to get same day, onsite services anywhere across Melbourne.